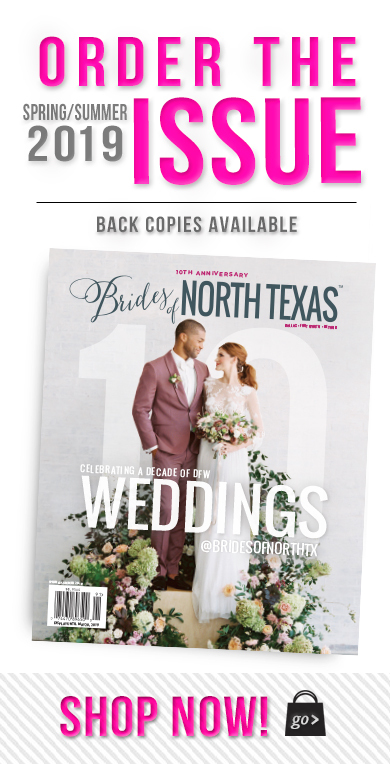 It’s FINALLY time to reveal the all new Spring/Summer 2018 Brides of North Texas cover! 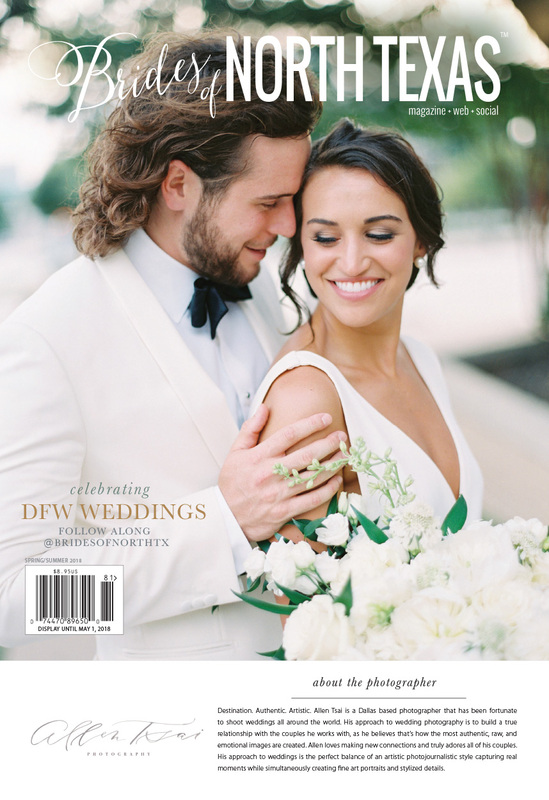 We’ve been sharing little sneak peeks of what you’ll find in the new issue over the last week, and we are beyond thrilled to finally reveal our beautiful cover featuring the lovely Victoria Thomas and her dashing groom, Canon Cornelius, captured by North Texas wedding photographer Allen Tsai Photography! We received hundreds of amazing submissions from beautiful Texas brides, but knew this image was the perfect fit for the Spring/Summer issue! 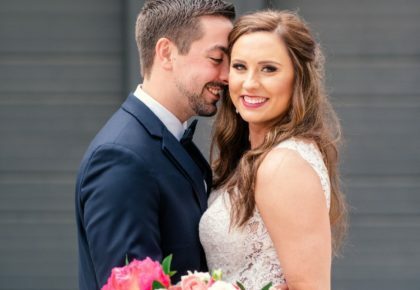 The bride’s dress was the combination of a beautiful Hayley Paige skirt from De Ma Fille and a custom designed bodice featuring a deep-V neck. 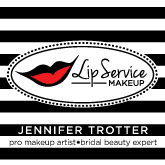 She kept her look polished with a subtle, yet elevated, natural makeup look perfectly executed by Jennifer Trotter – Lip Service Makeup, along with a delicate low updo with soft curls framing her face. 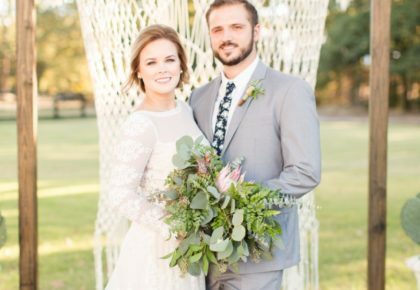 She carried a bouquet of loose and free flowing greenery and classic white florals arranged by Sage Fine Flowers. The groom went for a classic black tie look complete with a white dinner jacket, bow tie and loafers. We can’t wait for you to see their classic white wedding on pages A25-26 of the new issue (featuring a towering cake by Creme de la Creme Cake Company and mix-n-match bridesmaids’ attire from Bella Bridesmaids)! 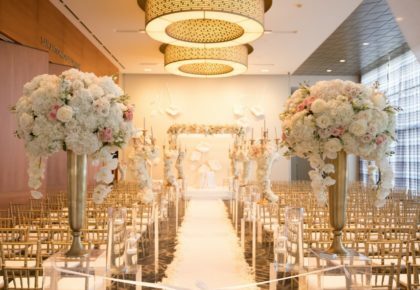 Thank you to Allen Tsai for capturing such a perfect moment and sharing it with us all! Make plans to pick up a copy of the new issue when it hits newsstands next month or be one of the first to get your hands on the new issue by ordering today and take advantage of free shipping on your purchase of two or more mags for a limited time. Cheers!